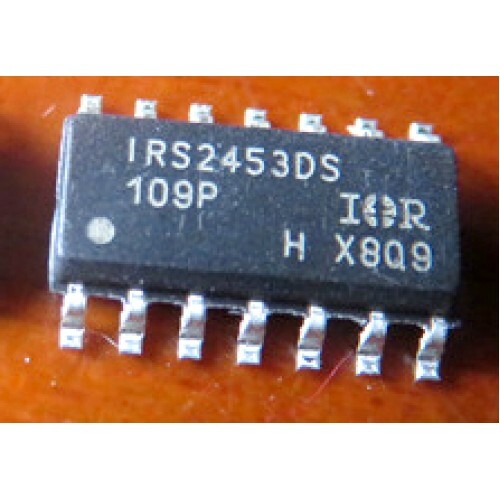 Purchase online IRS2453DS International Rectifier/Infineon Gate Drivers SMD IC, IRS2453DS International Rectifier/Infineon Gate Drivers IC in India at low cost from DNA Technology, Nashik. The IRS2453DS is based on the popular IR2153 self-oscillating half-bridge gate driver IC, and incorporates a high voltage full-bridge gate driver with a front end oscillator similar to the industry standard CMOS 555 timer. HVIC and latch immune CMOS technologies enable ruggedized monolithic construction. The output driver features a high pulse current buffer stage designed for minimum driver cross-conduction. Noise immunity is achieved with low di/dt peak of the gate drivers, and with an under voltage lockout hysteresis greater than 1.5 V. The IRS2453DS also includes latched and non-latched shutdown pins. 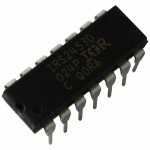 IRS2453D Full Bridge Gate Driver ICIRS2453D is based on the popular IR2153 self-oscillating half-bri..